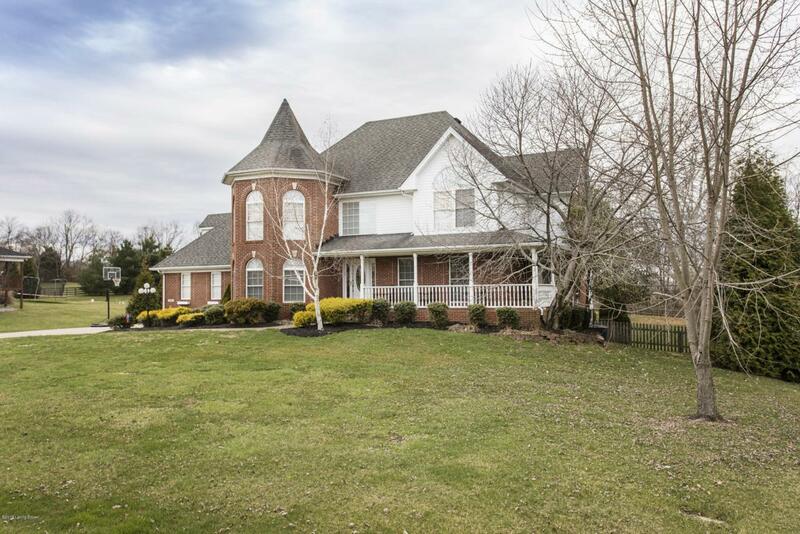 Beautiful 2 story, 5 Plus Beds, 3.5 Bath, Walkout Basement and an additional 24x40 Garage on over 1 Acre in the Buckner Area. 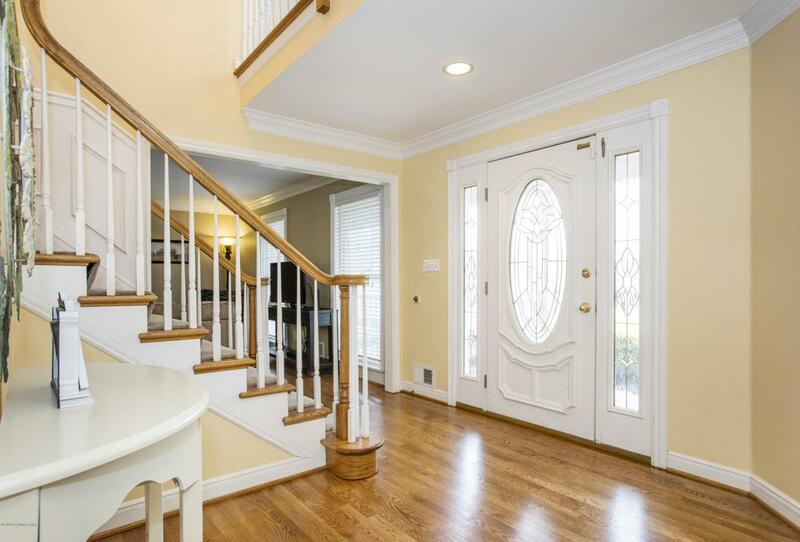 Enter from the wrap around front porch to the 2 story foyer. Hardwood flooring throughout first floor. Eat in Kitchen stretches the entire back of the house with great views of the fully fenced backyard. Kitchen has plenty of cabinet and countertop space and dining area with corner fireplace. 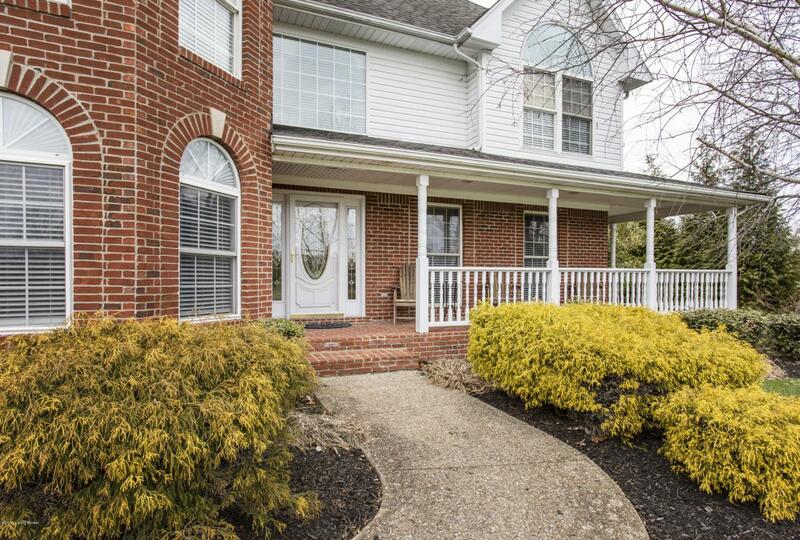 Family room has recently added hardwood and view of the wrap around porch. More...There are 3 additional bedrooms, a full bath, plus a bonus room over the garage that is being used as a bedroom but not included in the 5 bedroom total (must go through one room to get to bonus area).The walkout basement features an open family room with gas fireplace, game area, bedroom and a bonus area that could be used as office or exercise room, and a full bath. Out back, there is a covered deck across the back of the house, park like fully fenced yard and the oversized 2nd garage, that could fit 4 cars tandem or an RV. 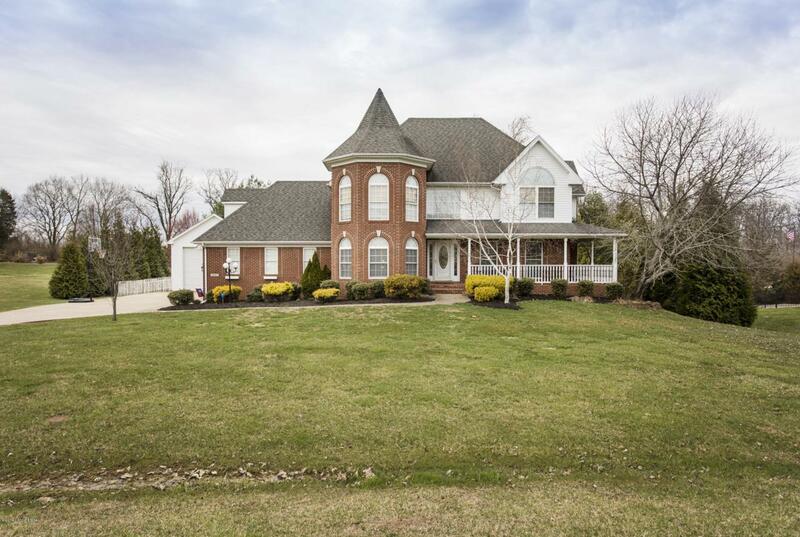 All this plus just minutes from the Oldham County Country Club, Oldham County Aquatic Center, Dog Park, Oldham County Youth Football, Oldham County Youth Soccer, Oldham County YMCA, I-71 and Award Winning Oldham County Schools.